Chanel Vitalumière Aqua is advertised as a "new-generation texture foundation" with a "unique makeup result" offering a second-skin finish and providing complexion perfecting results. This new hybrid fluid foundation creates a sheer, natural finish leaving the skin looking fresh and refined. It feels ultra-light yet leaves the skin looking flawlessly natural. The formula is enriched with a UVB sun filter and mineral sunscreen, offering protection from the sun with SPF 15. The lightest shade is perfect for the palest skin tones due to the sheer yet slightly buildable qualities of this foundation. Skin is left looking fresh, flawless, and naturally so. Any redness, discolouration, or minor blemishes are covered while still allowing the natural skin tones to show through. I apply this with my fingertips rather than a brush but either can be used to achieve a flawless result. 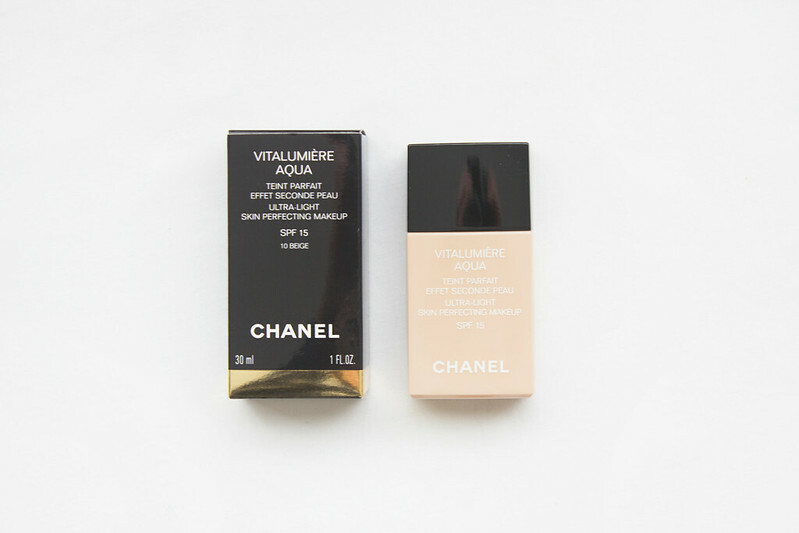 I find Chanel Vitalumière Aqua lasts around seven hours and can be easily touched up if you need it to last longer. The finish is ever so slightly dewy yet settles into a not-quite-matte appearance that I prefer. Chanel Vitalumière Aqua is almost magical in the way it provides just the right amount of coverage to blur imperfections while letting the complexion remain natural in appearance; I can't recommend this enough. Glad to hear it lives up to expectations. I've had this foundation for a couple of weeks now and I just adore it! I'd always been put off because a lot of people said it was quite sheer and I prefer a medium coverage, but I don't find it that sheer at all. It's not thick, but like you said, it just blurs imperfections and makes redness disappear. I was seriously blown away by my first use of it. This stuff is raved about everywhere and sounds amazing! I've tried vitalumiere which is amazing so need to try this one! This is most definitely on my wishlist although have you tried Les Beiges? It's AMAZING!